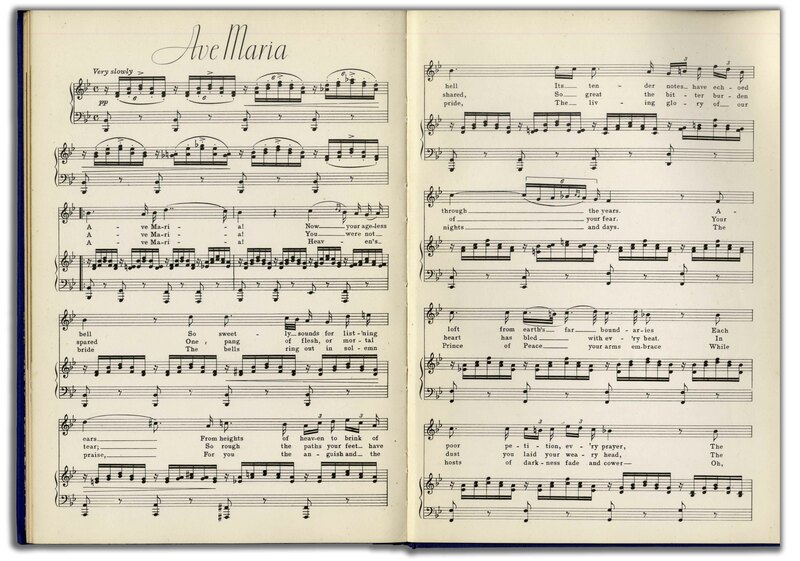 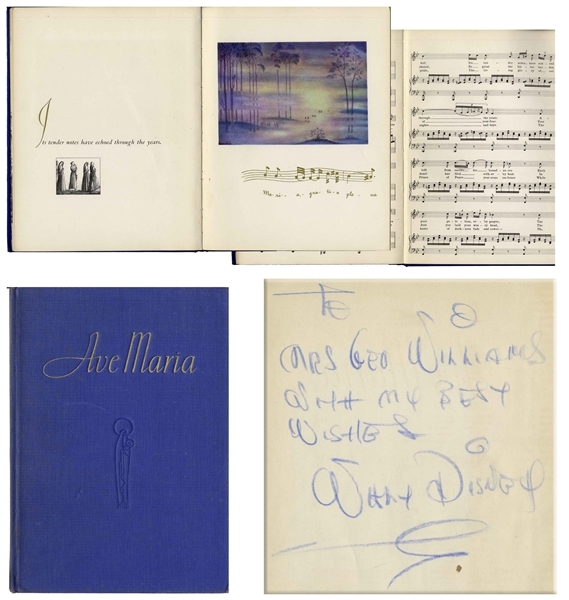 Walt Disney signed copy of ''Ave Maria'', the ''interpretation from Walt Disney's 'Fantasia'''. 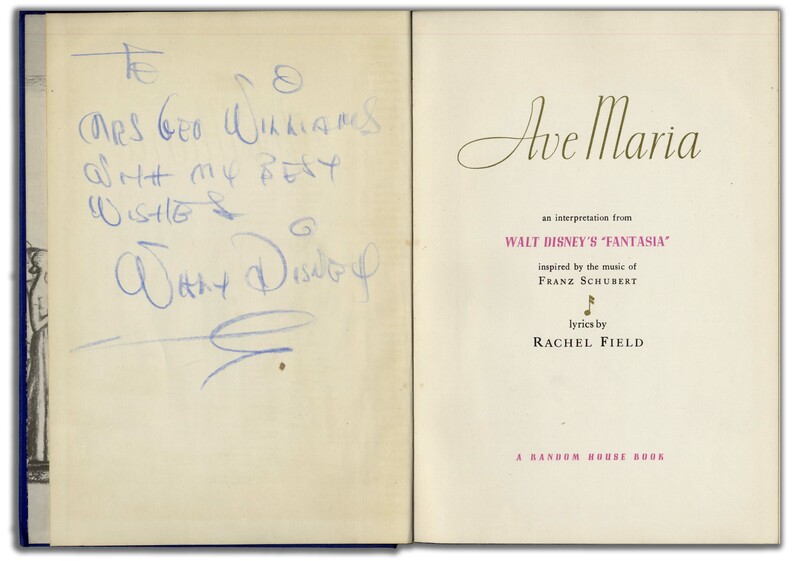 Disney signs in blue crayon on the front free endpaper, ''To Mrs Geo Williams with my best wishes - Walt Disney''. 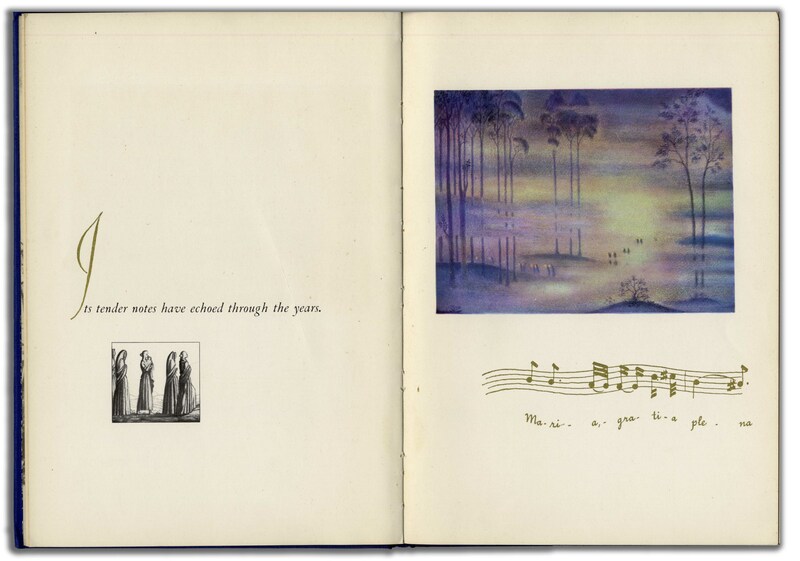 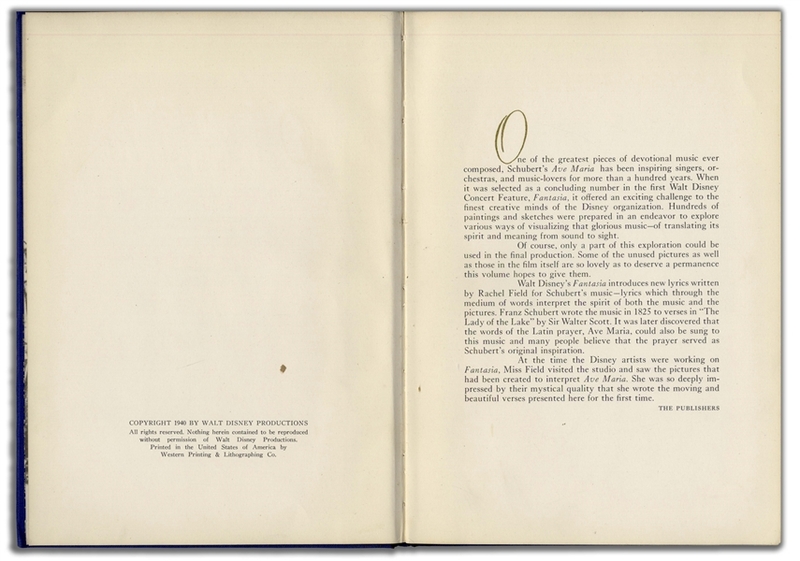 Printed by Random House, with a 1940 copyright by Walt Disney Productions, book is a beautiful presentation of ''Ave Maria'', with gilt accents throughout, paired with iridescent color pictures from ''Fantasia''. Sheet music appears in back, along with pictorial endpapers. 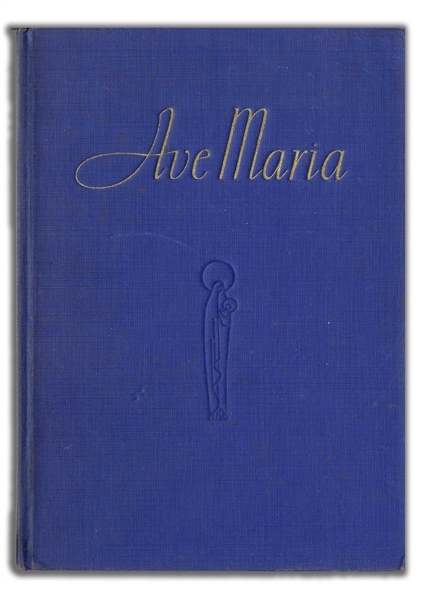 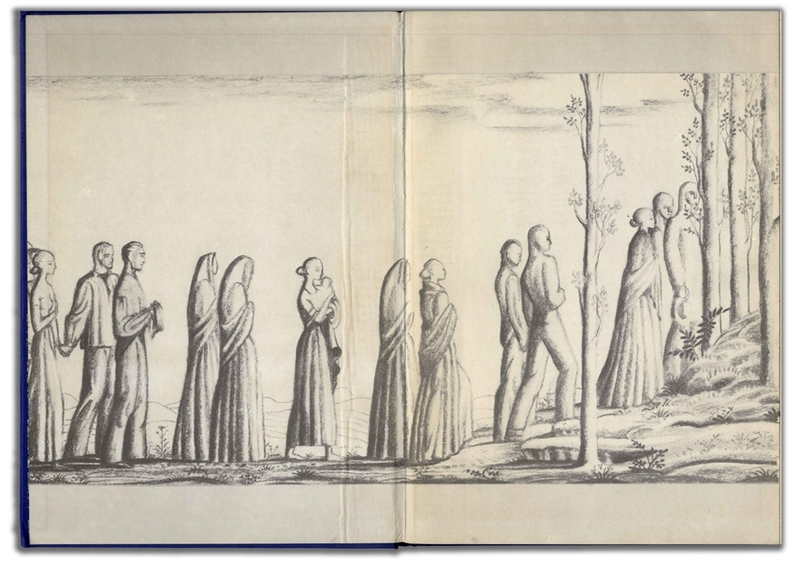 Book measures 7.25'' x 10.25'', bound in blue cloth boards. Light shelf wear and very light toning, overall in very good plus condition.